This tabletop printer features a rugged all-metal design with a solid wood pallet. 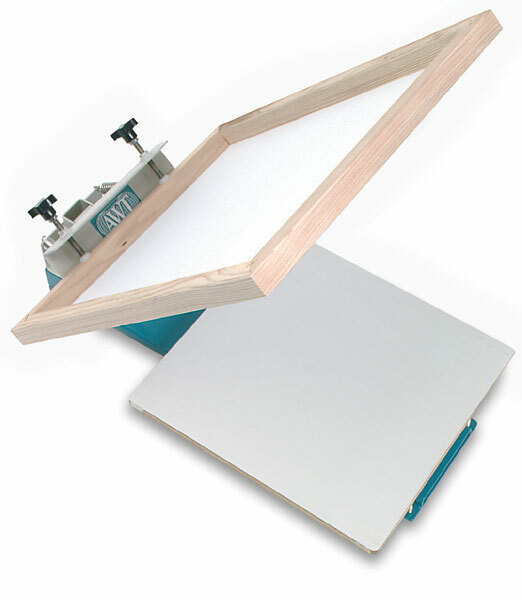 Available in 1-color and 4-color models, these tabletop screen printers are great teaching aids for the classroom. They also can be used for fund-raising projects, for clubs, and for commercial sales. Simple to set up and use, the spring tension and screen holder arm adjustment allow for the right printing head control at all times. The 4-color unit has a steel bearing lock-in registration system that assures precise 4-color printing. Screens not included.